As the 2014 Hurricane Season approaches, Americas Relief Team (ART) wishes to salute FedEx Global Citizenship for their continuous commitment in providing disaster relief around the world. 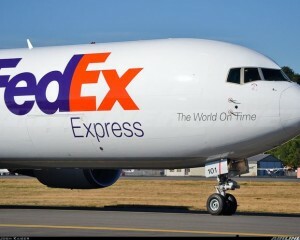 For decades, FedEx has used its nearly 700 planes, 75,000 trucks and the world’s most powerful and versatile transportation and logistics network to deliver critical supplies, services and expertise to support victims of disaster. At FedEx, disaster relief is their DNA. Each year, they set aside space for as much as four million pounds of disaster-related charitable shipping. They also leverage their logistics expertise, scale and work on long-term recovery efforts in communities like New Orleans and Haiti that, years later, still have a lot of rebuilding to do. ART is honored to partner with FedEx, in support of the Port Resiliency Program (PReP) to help countries in Latin America and the Caribbean build the preparedness and response capacity of their ports and airports. Together, PReP helps mitigate the damaging effects of disaster-related port closures on the delivery of relief supplies and on local jobs, businesses and economies.